What's Beyond Forks? 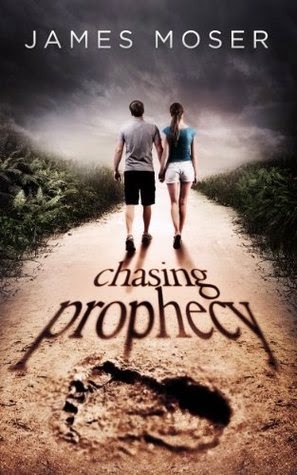 : Chasing Prophecy Blitz! Mo is a teen boy just trying to survive high school in the mountain town of Boulder Creek, Washington. Boulder Creek is an isolated and mysterious place, proud of its reputation as the "Bigfoot Sighting Capital of the World." Mo falls in love with a girl named Prophecy who lives with a group that some call a commune and others call a cult. When she disappears, Mo must find the courage to face the monster that her family has become. This heartwarming coming of age story chronicles the adolescence of one boy who must transform himself to save the girl of his dreams. When he's not dazzling Goodreads members with his wit and charm, the author is typically reading, writing, or watching way too much TV while snacking on chocolate treats from Trader Joe's (and who can blame him--those things are GOOD, yo!). The author wanted to write about teenagers transforming themselves to survive. The result is "Chasing Prophecy," a story about love, loss, redemption, and monsters. Boo Radley is the author's all-time favorite book character, which is how the Seattle-area legend of Bigfoot entered this story. Moser holds a B.A. in bookish matters and a Master's in the same. He lives in Seattle with his wife and eight year old son. 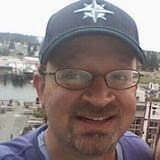 To learn more about James Moser and his books, visit him on Goodreads, Facebook, and Twitter. Boulder Creek, Washington, is what's beyond Forks! (a.k.a. the setting of Chasing Prophecy). Ha ha! :) Thanks for having me around this week! I love all the action on your blog. It's really eye-catching.